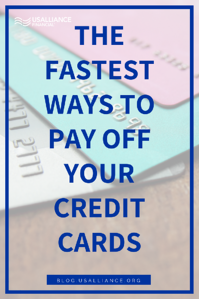 So, you’ve decided that it’s time to get serious about paying off your credit cards. Congratulations! Becoming debt free will allow you to have more control over your money and give you greater flexibility as you make big life choices like changing jobs or buying a house. 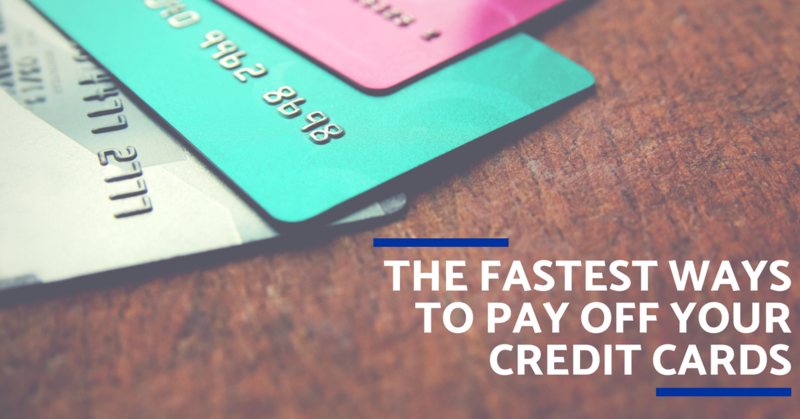 Below, we've outlined a few strategies to pay off your credit cards as quickly as possible. With all of these methods, remember that the more you can pay toward your debt each month, the faster you’ll get those cards down to a zero balance. 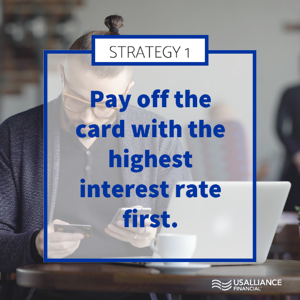 Pay off the card with the highest interest rate first. 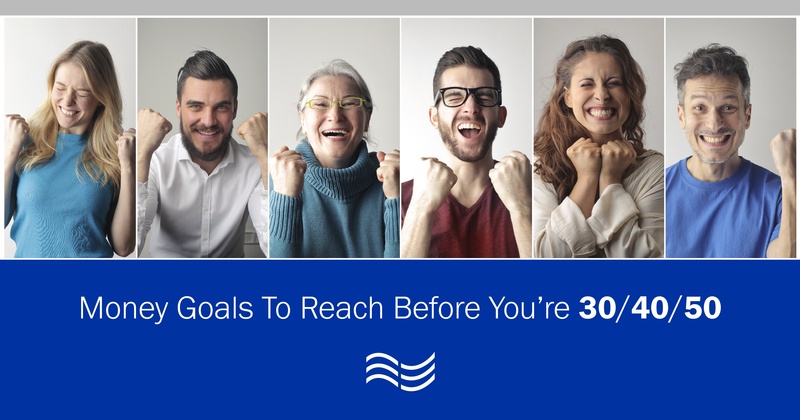 The interest you pay on your credit card balances each month adds up quickly, so paying off your card with the highest interest rate first can save you hundreds or even thousands of dollars. Take a look at your monthly statements and figure out which one has the highest interest. Pay the minimum balances on your other cards, and put as much money as you can toward the card with the highest interest. Once that one is paid off, use the same process on your next highest card. Pay off the card with the lowest balance first. 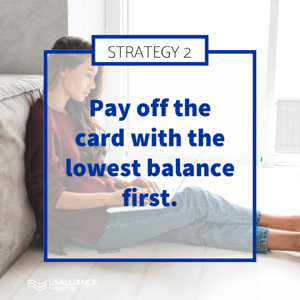 If you need a quick win to stay motivated, you might consider paying off your card with the lowest balance first. Seeing the balance dwindle to zero fast might get you excited about tackling the rest of your debt. In this case, you’ll want to put as much money as possible toward your card with the lowest balance first, while paying the minimum balances on your other cards. After the first card is paid off, you’ll move on to the one with the next largest balance. By the time you get to the card with the highest balance, you’ll only have to focus on tackling that single debt. Be aware, however, that this method may not be as fast as paying off the card with the highest interest rate first. 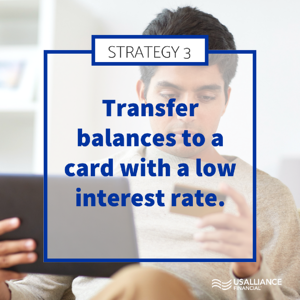 Transfer balances to a card with a low interest rate. If you have a card with room on it that has a low interest rate, or if you qualify for an introductory offer on a card with little or no interest, transferring your debt from a card with high interest might be a wise move. By lowering the amount that you have to pay toward interest, you’ll speed up the process of paying off your debt. However, be very careful with opening new accounts--remember that you’re doing it to save money, not to spend more. Use a debt consolidation loan. Similarly, you might qualify for a debt consolidation loan that has a lower interest rate than your credit cards. An added benefit of debt consolidation loans is that you’ll only have one payment to make each month, rather than having to keep track of multiple payments. As with transferring balances, you’ll want to use extreme caution if you take out a debt consolidation loan. 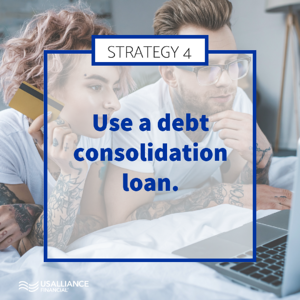 A common pitfall is that people start using their credit cards again after their debt is transferred to a consolidation loan, which leads to even more debt in the future. Looking for a low rate credit card to transfer your high rate balances to? 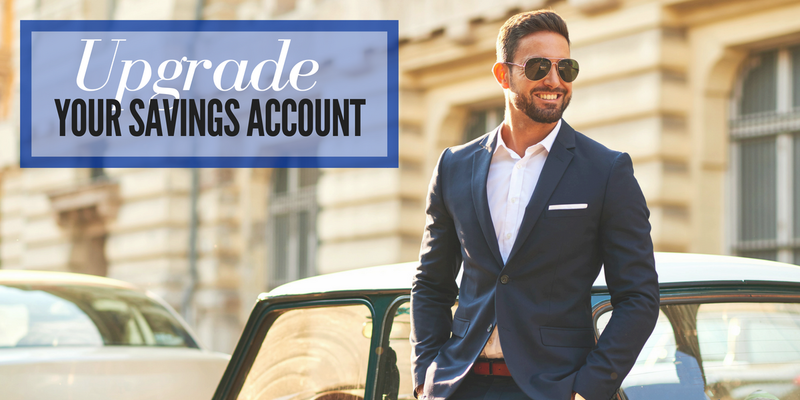 USALLIANCE credit card rates are below the national average.